The Orient Commercial Joint Stock Bank (OCB) has received two awards - “Most Innovative Digital Bank 2018” and “Best New Omni Channel Platform” - from the UK-based International Finance magazine. International Finance is a specialized banking and finance magazine based in London with readers in over 20 countries and territories around the world. Its awards are voted on the basis of evaluating outstanding contributions to the industry with outstanding value-added or innovation, and differences among organizations and individuals operating in banking and finance and other industries relating to energy, construction, communications, and the community. 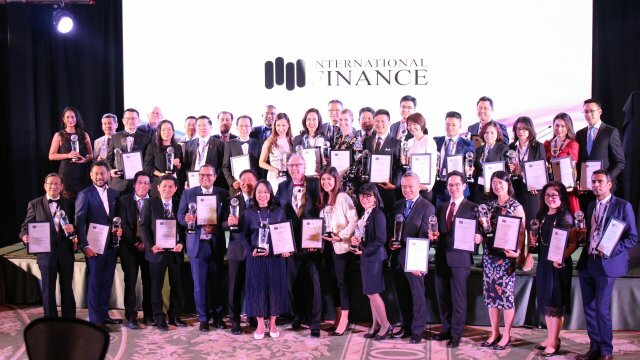 In Asia-Pacific, OCB was honored together with major names such as Standard Chartered, AIA, UOB (Singapore), Krung Thai Bank (Thailand), PNB (Philippines), and Taipei Star Bank (Taiwan). Other winners from Vietnam included VNPT, BIDV, ACB, and Sun Life. OCB is the first bank in Vietnam to receive awards for digital banking. The awards affirm the bank’s orientation in actively researching and investing heavily in technology in order to improve operational efficiency, increase the customer experience, and boost security and convenience, to meet increasing demands of customers as well as the market. Vietnam is viewed as having favorable conditions for rapid development and modernization in banking and finance, making full use of Industry 4.0. In this regard, OCB has been implementing and connecting users in digital technology applications and channel integration, helping to reduce risks and transaction costs. “OCB achieved success during 2018 in applying digital technology to its operations, pioneering the provision of products and services to customers on an integrated-channel platform in a seamless manner,” said Mr. Du Xuan Vu, CTO of OCB. The bank has also been certified in the information security management system ISO/IEC 27001:2013, referred to as ISO 27001 certification. And to help users control all activities and transaction contents, avoiding information theft or making improper transactions, OCB has completed the advanced iOTP authentication system, in compliance with Decision No. 630 from the State Bank of Vietnam (SBV) at the beginning of 2019. The upgrading of the application system, technology infrastructure, and security has also contributed to OCB being one of the first three banks in Vietnam to be recognized as successfully implementing risk management project items under Basel II standards. Determining the application of technology as an inevitable trend, OCB will this year continue to invest and develop digital technology products, increase the quantity and quality of products and services on application platforms, and continue promoting the research and deployment of new technology applications and models such as Blockchain and DevOps, This is also the basis for OCB to develop and connect customers and partners quickly, smoothly, and safely, providing new utilities and experiences and bringing practical benefits to customers, the community, and society.